Myotherapy and massage are clinically proven, drug-free ways to deal with the pain and discomfort caused by musculoskeletal dysfunction and injury. Don’t Live With Chronic Pain! There are so many causes to chronic musculoskeletal pain, ranging from dysfunctional movement patterns, previous injuries, nerve, joint and disc conditions, and even chronic illness. Pain is a complex experience, and everyone experiences it differently. Our job as Myotherapists is to discover the main contributors to your ongoing pain, and help you to address each area through treatment, rehabilitation, education and advice. We are able to treat the tissue damage, correct the surrounding tissue adaptations, assess the level of neurological “noise” that is creating your pain, and help you to fix the main stimuli that keep the pain ongoing. Our treatments are designed around understanding pain from our patient’s perspective, as this is the only interpretation that really matters. We make decisions about treatment plans in partnership with our patients – making sure that our patients understand their condition, and the other factors that contribute to why their pain exists and why it continues (such as work ergonomics, stress management, neurological upregulation or movement biomechanics). This allows patients to make informed decisions about their own care and rehabilitation. Let us help you make pain a distant memory! What is Pain? How does it become a chronic condition? Pain alerts the brain to potential or actual tissue damage, and it involves all the body systems related to healing and protection. Pain is a signal to get you to change something about the situation that is causing the pain. However there are occasions (especially with chronic pain) where the pain can persist even after the actual injury has healed. This is often because the brain perceives that a threat still remains, and keeps the tissues and nerves in “protection mode” – meaning behaviours such as ongoing spasm and pain can occur. In this sensitised state, the brain is being told that there is more danger to the tissues than there actually is. It’s like the brain has turned up (or sometimes down) the volume on the pain setting – and that volume is not always reflective of the health of the tissues. We aim to change the neural pathways that create this distortion, by resetting the information being sent by the neurones. We do this through a number of techniques – from gentle massage to trigger point therapy, joint mobilisations or even dry needling (with permission from the patient). We also prescribe home rehabilitation plans to ensure the new, more beneficial stimuli is being repeated frequently, allowing the brain to retrain the pain volume setting. Our Myotherapists will design a treatment and rehabilitation program that will address why your pain began, why it continues, and teach you how to manage any ongoing concerns that may affect its return. The more our patients understand about their pain, and how to keep it away, the less they need us! Our job is to help people become pain free again! Contact us to arrange an appointment today! 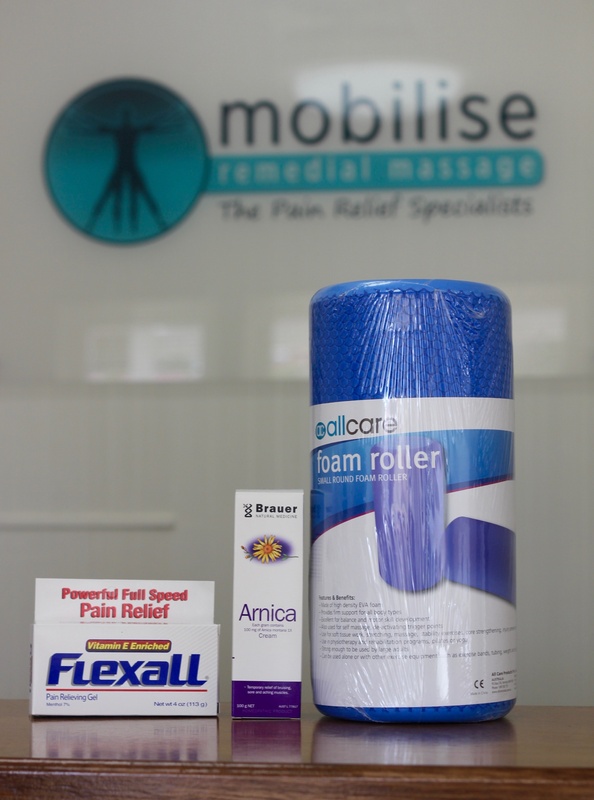 If you think that you may require treatment to help with chronic pain, then it is a good idea to get in touch with our friendly staff at Mobilise Remedial Massage. Please call (07) 3870 5990 or book online with one of our caring Myotherapists today. We look forward to helping you address your pain as soon as possible!